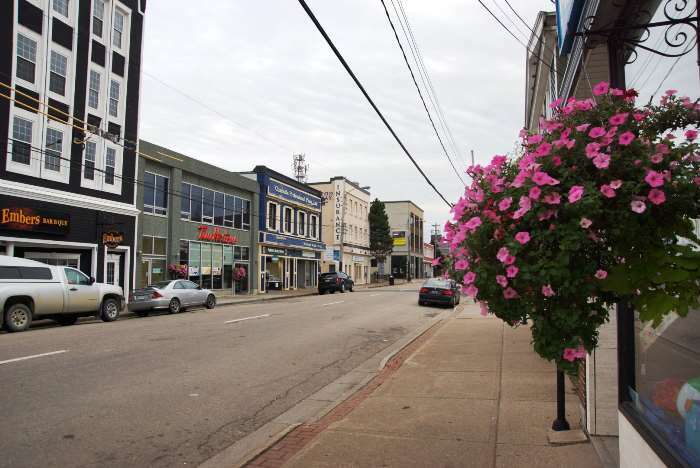 Sydney is the biggest city on Cape Breton Island, and there’s a good chance if you’re visiting the area, you’ll end up using it as your jumping-off point for exploring the area. 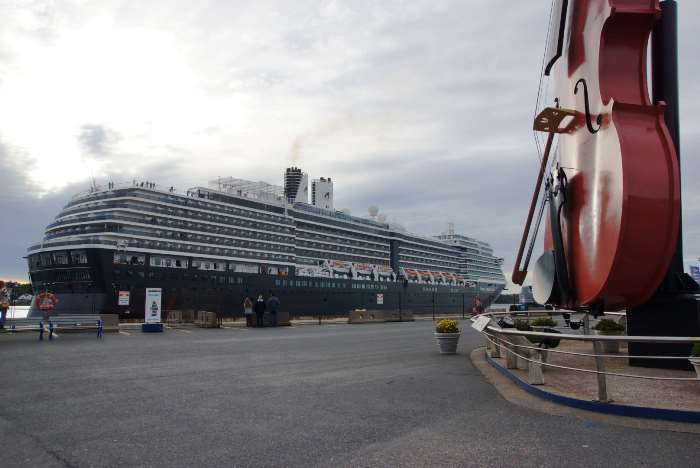 You may also end up here aboard a cruise ship. Either way, there’s plenty to see nearby, and in-town — starting with a world-record-holding giant fiddle. 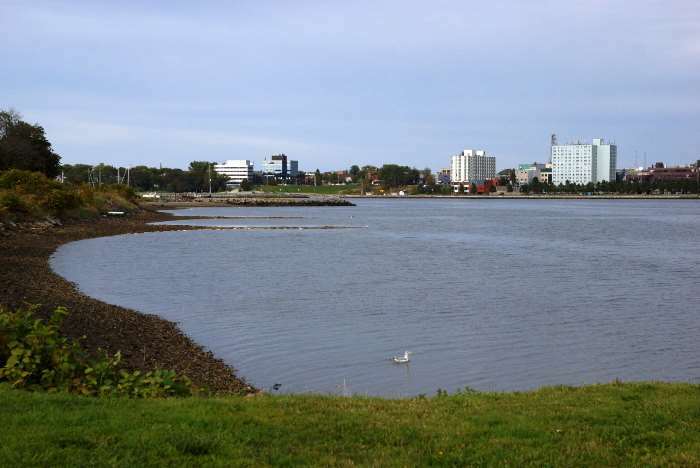 Sydney is located at the junctions of Trunk Routes 4, 22, and 28, and it’s not far from the northern terminus of Trans Canada Highway 105. Route 125 forms a partial loop around the municipality. If you’re thinking of using Sydney as a starting point for a trip on the Cabot Trail, it’s about 60 kilometers, or 45 minutes away, via TCH 105. I started my visit to Sydney by honing in on the biggest thing in town — and no, i’m not talking about the huge cruise ship. Sydney’s World’s Largest Fiddle dwarfs the big boats, and the Joan Harriss Cruise Pavilion, which is located right behind it. I parked at a large waterfront parking area near the fiddle and walked over for a closer look. 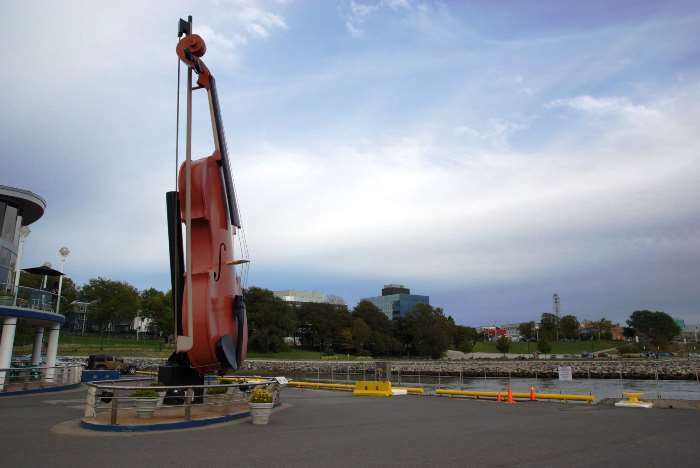 The fiddle is 17 meters (or 55 feet) tall, and weighs 8 tons. 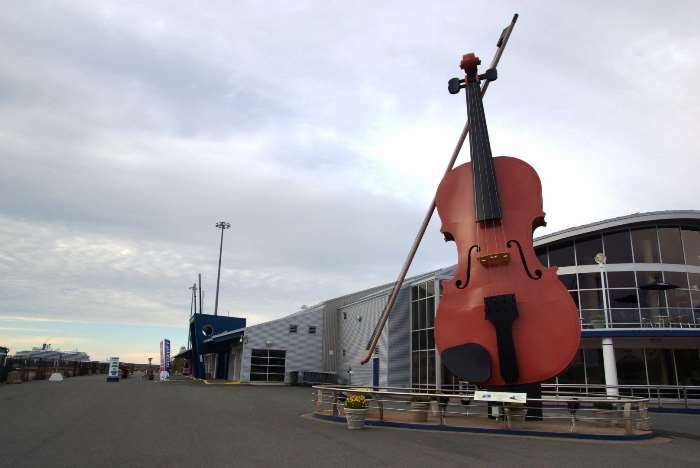 It’s meant to illustrate the importance of fiddle music to Cape Breton’s culture. Fiddlers arrived here some 200 years ago from Scotland, and the style of music continues to flourish here. I spent a few minutes walking around the fiddle, and quickly figured out that there are only so many ways you can take a picture of a giant fiddle. Also, I must admit, the non-stop loop of fiddle music coming from speakers inside the fiddle is nice at first, but it started to get irritating after a few minutes. So, I wandered on into the rest of town, which is just up the hill from the cruise port. 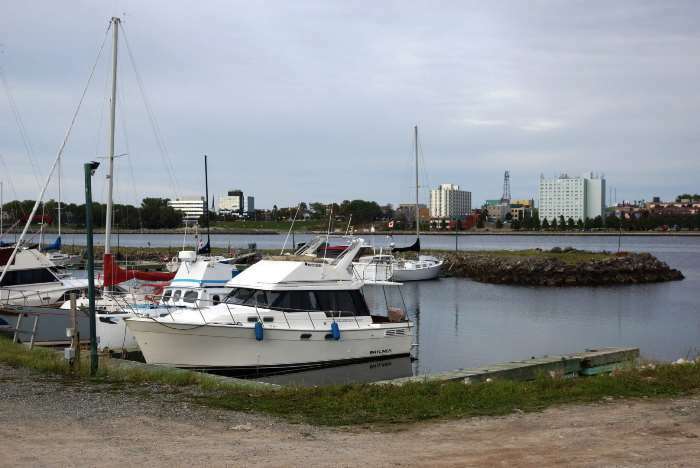 Sydney has a tidy downtown business district that’s still fairly lively — even though Cape Breton Island, in general, has struggled economically, and has seen a decrease in population over recent years. Still, there are businesses making a go of it here. I had a nice Thai dinner at A Taste of Asia on Dorchester Street. 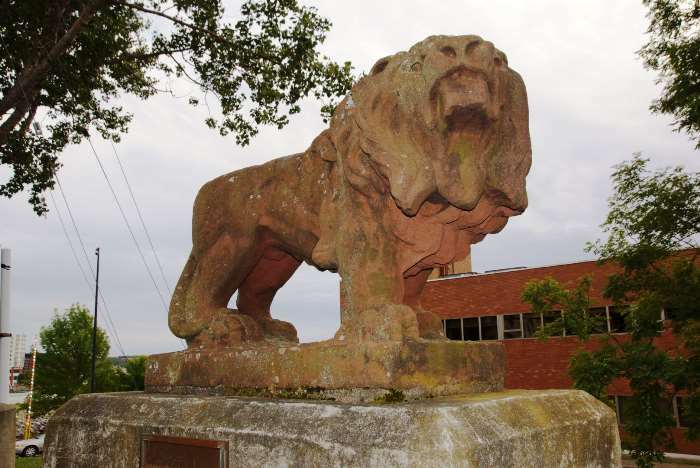 This well-weathered statue of a lion stands along Esplanade (street). It originally stood atop the Royal Bank of Canada building, two blocks away, from 1901 to 1976. It was moved here in 1980. A plaque explains that the standing position of the lion illustrates that Britain was, at the time, at war in South Africa. 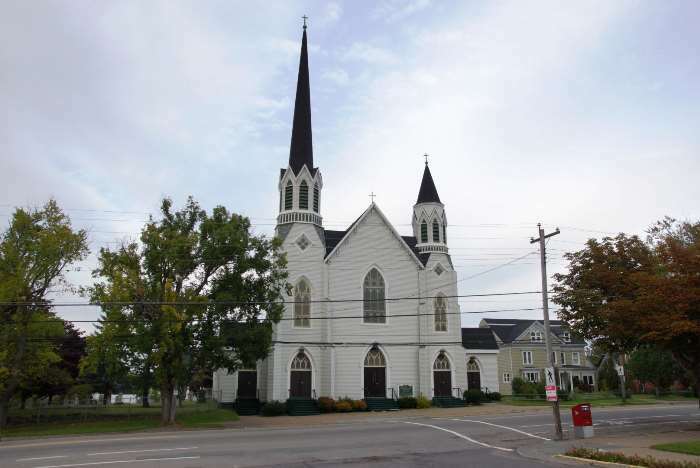 As is common in most Maritime towns, there are several great old churches that are worth seeing. This one is St. Patrick’s Church. 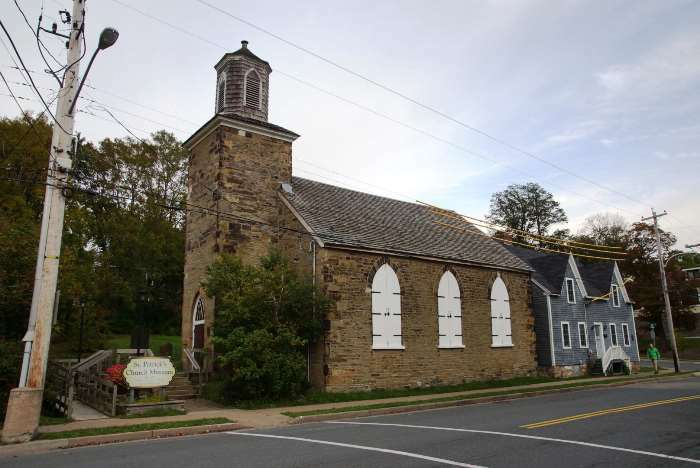 It was built in 1828, and used as a church until the mid-1960’s, when historians took over and converted it into a museum. St. George’s Anglican Church is even older. It was completed in 1791. 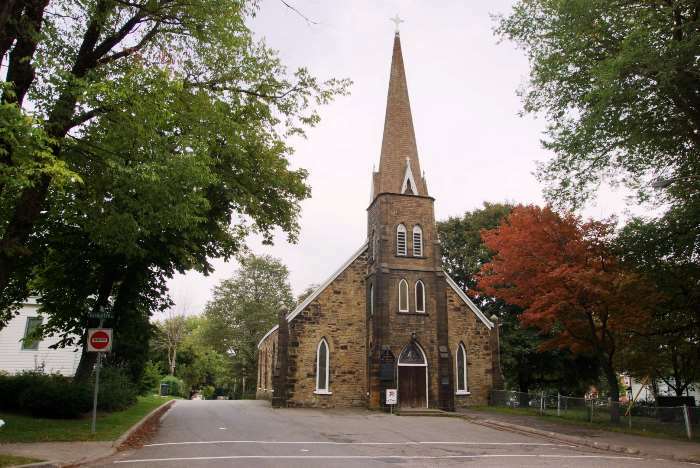 The church, and neighboring graveyard, are on the Canadian Registry of Historic Places. It might be interesting to wander around that graveyard. Sacred Heart Church is especially beautiful, thanks to its double, asymmetrical spires. The building opened in 1889, and closed in 2014. As of 2016, the local government was searching for some kind of new use for the building, that would allow for it to be preserved. If you’d like to get a different perspective on downtown Sydney, drive out of town headed south, then loop around to Westmount Road, which heads out to the community of Westmount, on the opposite side of Sydney Harbour. … and several places from which you can view the Sydney skyline. As I explored Sydney, I knew the day was quickly coming to an end, but I also started to notice that the persistent clouds were starting to break up. I thought, just maybe, after an entirely gloomy day, there could be a nice sunset. So, I looked at the map and picked a spot that looked promising — the old Low Point Lighthouse, about a half-hour drive north of town. With fingers crossed, I headed in that direction. Sydney is a great little town that’s worth exploring. And who can resist seeing the World’s Biggest Fiddle?